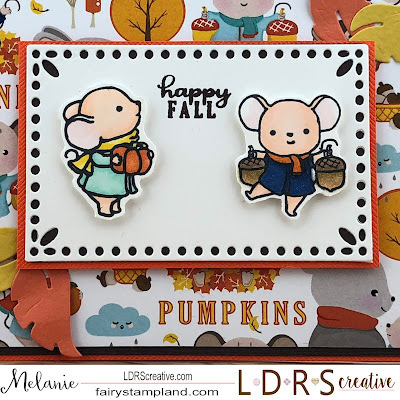 For my second project for the LDRS Creative New Release blog hop I decided to use the adorable "Happy Fall 6x6" paper stack" I then colored these two adorable critters from the Happy Fall Stamp set. Both of these items are Brand New!!! Additionally I added the Scalloped Rectangle Die Set to create the white panel. I simply cut a piece of dark brown card stock to same size as the white panel so that the contrast would be behind the openings in the die. Then I cut the orange card stock just 1/8" larger than the white panel so mat around it and to allow it to pop off the card front. 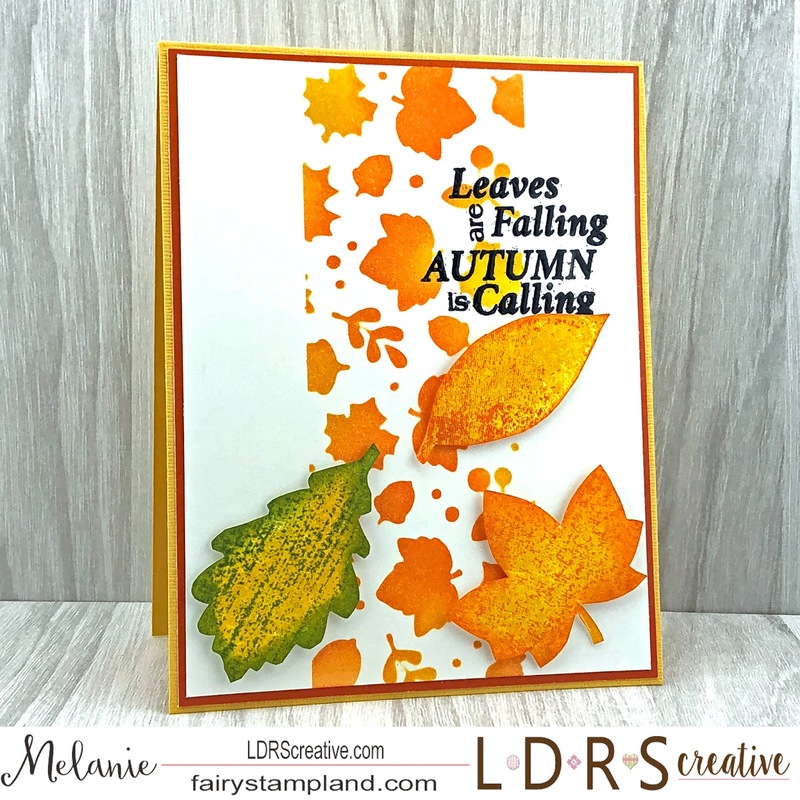 The sentiment here is also from the "Happy Fall Stamp set"
For the leaves in each of the corner I cut them from the Autumn Breeze Peek-A-Boo Die. I used some foam tape behind the critters as wellm to allow them to also pop. These little guys are so much fun to color!!! 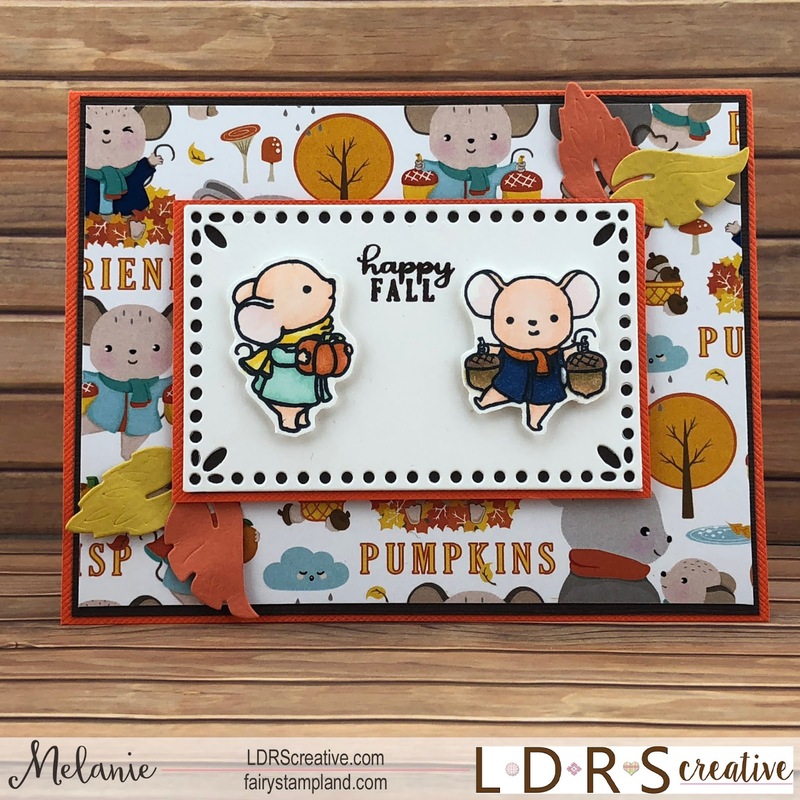 Here is my first personal blog hop post for the LDRS Creative's NEW Release... Make sure to hang out with us all three days... lots of inspirations and tutorials by each design team member. Below is my tutorial... scroll down to see it!!! I have used a masking technique which is super easy. I first cut two strips of masking paper 1" wide and long enough to cover the height of the card plus a little which will help the card stay in place. See below. If you look close you can see the masking paper is peeking out past the stencil on the top there. It is covering 1" on either side so that it remains white after we ink the stencil. 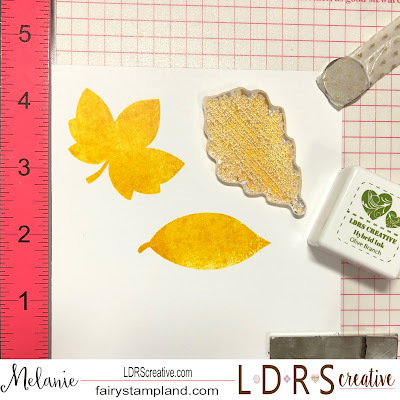 Then the leaves stencil is held in place by some washi tape. Super simple! 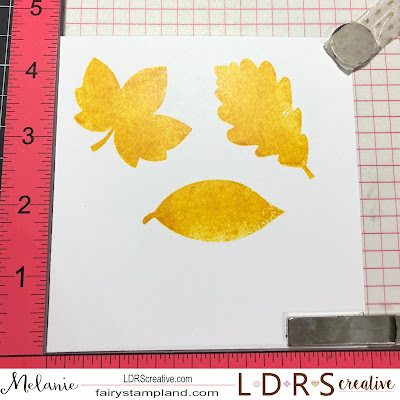 Using our amazing Hybrid Ink and a blending tool I first added the Dan-D-Lion yellow Hybrid ink followed by In Your Face Orange Hybrid ink. 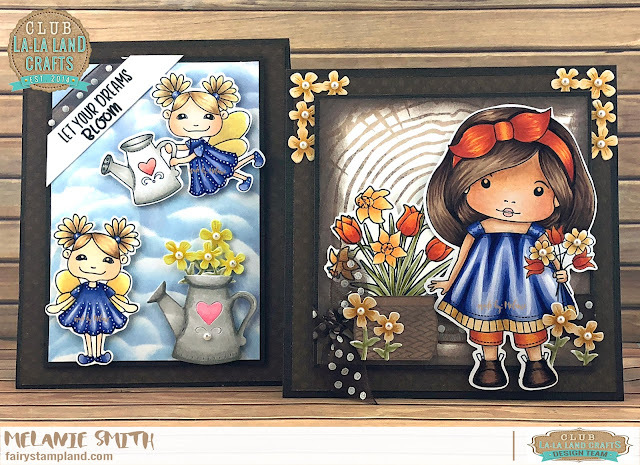 These hybrid inks blend beautifully and using both the masking tape along with the washi tape nothing moved so you can add as much or as many colors as you would like. Now for the fun part.... removing the masking tape to expose your crisp edges created by the masking paper. 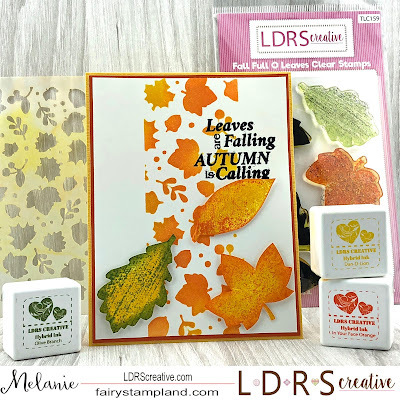 Next thing I did was add the sentiment using our Raven Black Hybrid ink and clear embossing powder. Next to show you how I created the full size leaves. Using a positioning tool is not required but it does help. I stamped three of the leaves using Dan-D-Lion Hybrid ink. Then followed up using the coordinating stamps to give the leaves texture. 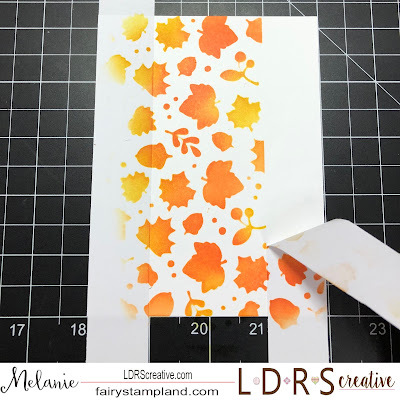 For this step I used Olive Branch Hybrid ink and In Your Face Orange Hybrid inks. You can purchase the small Hybrid ink pads shown in the photos as a collection of four called Jewelry Beads and is also a newly released item. Trust me....you will love these inks!!! Lastly I fussy cut the leaves and added inks to the edges using the blending tool. See below. Today I have a surprise for you. I have been slowly but surely learning how to create and edit YouTube videos. 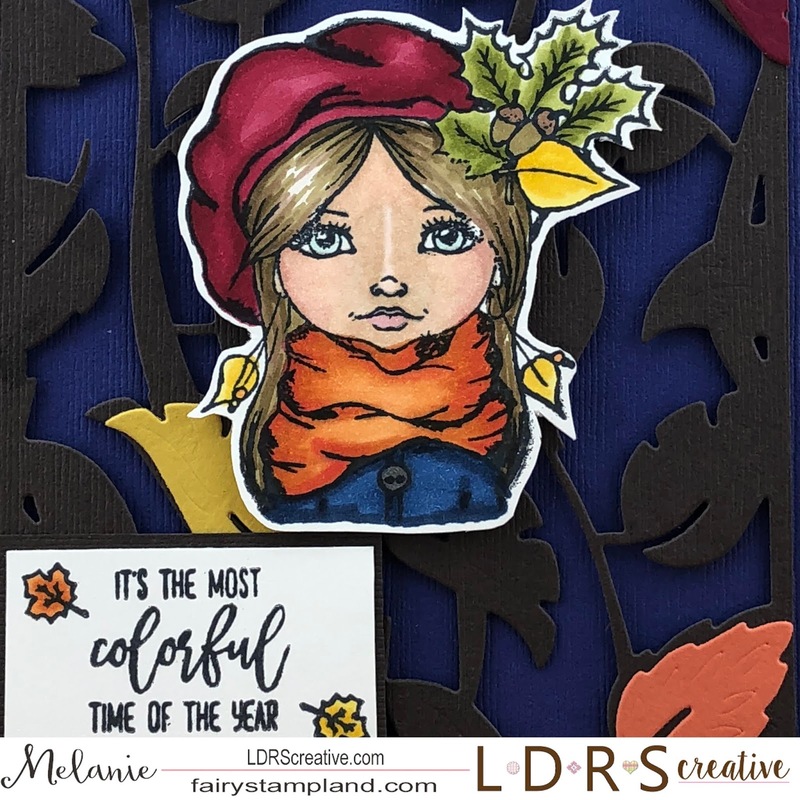 I wanted to share my coloring with all of you and thanks to being a design team member over at Club La-La Land Crafts I was able to muster up the courage to record not only one but 3 videos, which I will share below. 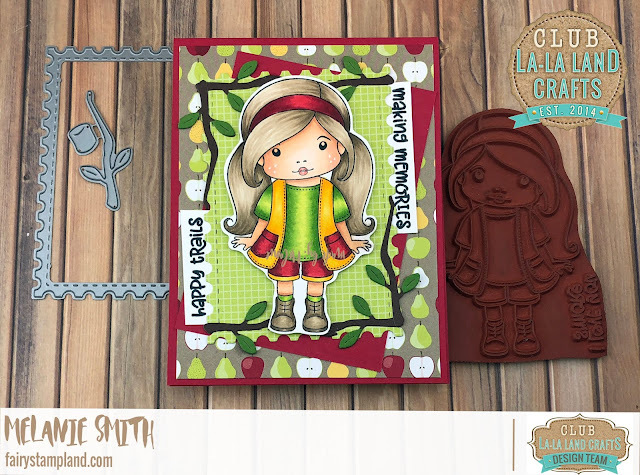 Today's projects are my second set of cards using the Club La-La Land Monthly Club Kit! isn't it just adorable? Want to join? Simply CLICK HERE. 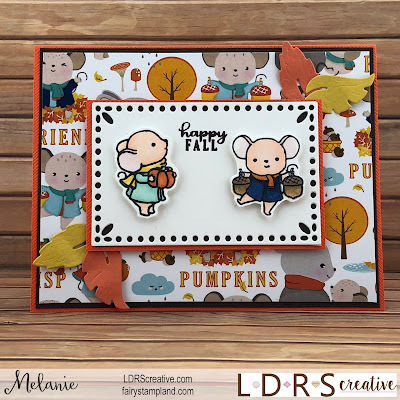 My first project uses Happy Camper Marci along with the roasting marshmallow die set from this August kit along with the La-La Land Crafts Postage Stamp Dies. 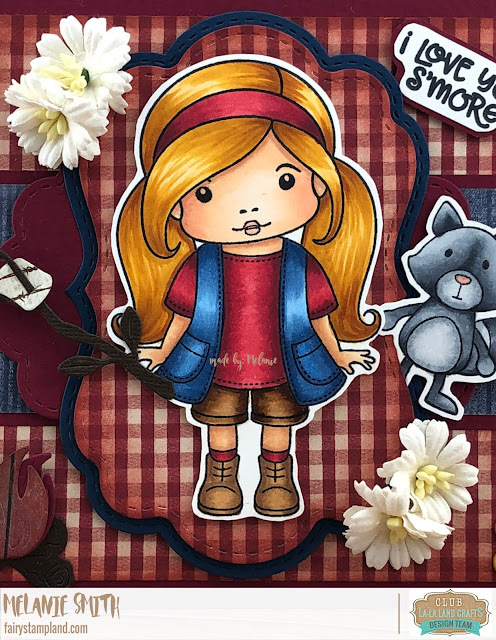 Want to see how I colored Happy Camper Marci? I have created a 3 part video showing you the skin, hair, and clothing being colored with Copic markers. Take a look and don't forget to subscribe as I am brand new YouTuber ~ Thank you friends! My second project today is probably my favorite La-La Land Crafts project yet! Her hair color and her details on her clothes were so much fun. I added two products from the store in this project. white gel pen was also used on her jacket and shorts. Being a part of this team has allowed me to step out of my comfort zone and I feel like I have grown as an artist with each and every project. Many thanks goes out to Irina and the rest of the team. You girls have been amazing to work with. Thank you for stopping by today. Please consider following my blog and/or YouTube channel. 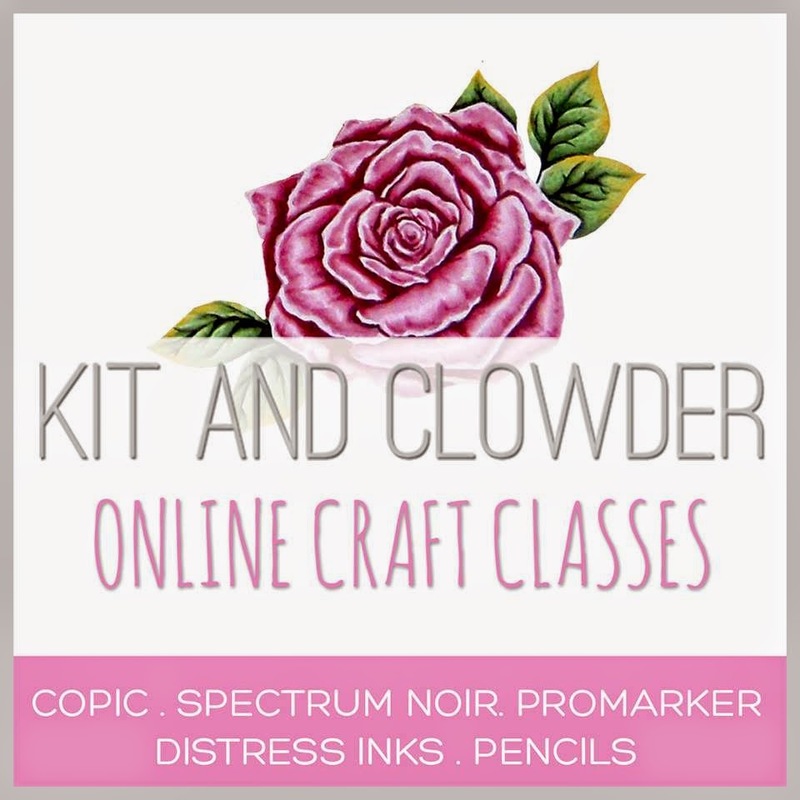 My goal is to inspire you to get your crafty supplies out and make something special! 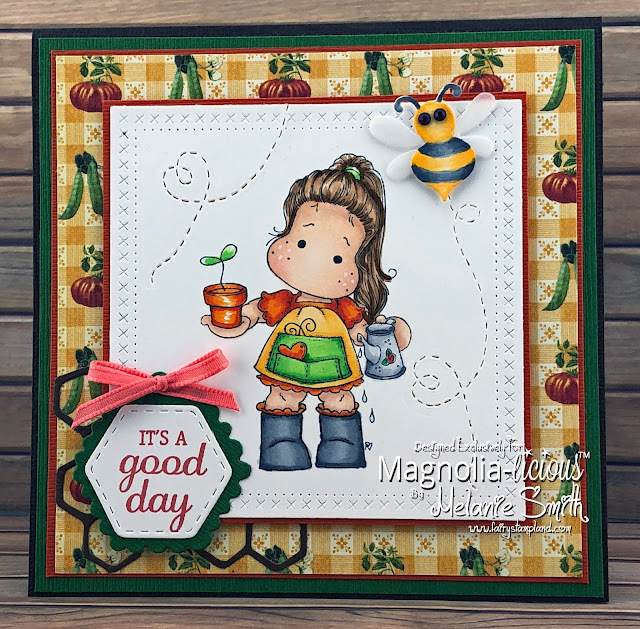 Magnolia-Licious ~ Fruit Salad Collection & Dies Dies Dies!!!!!! Today I just have to show off these new ROX Dies available in the Magnolia-Licious Store. They are so detailed, yet so affordable and are going to be YOUR NEXT MUST HAVE item!!! I have framed Melon Tilda here with one of the nesting ROX Circles with cross stitch detail. Then I used the nesting Rox Square dies which also have the same cross stitch edge detail. Can you tell I am "in love"with these dies???? Ok now to the rest of my project. 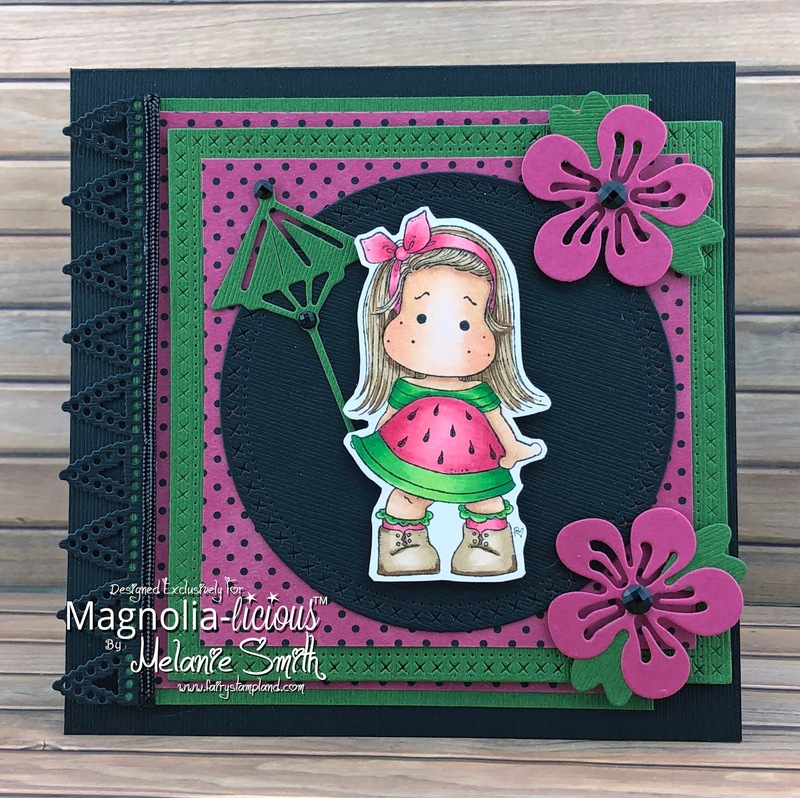 This is Melon Tilda and she can be found in the Magnolia-Licious Store under the Fruit Salad Collection. 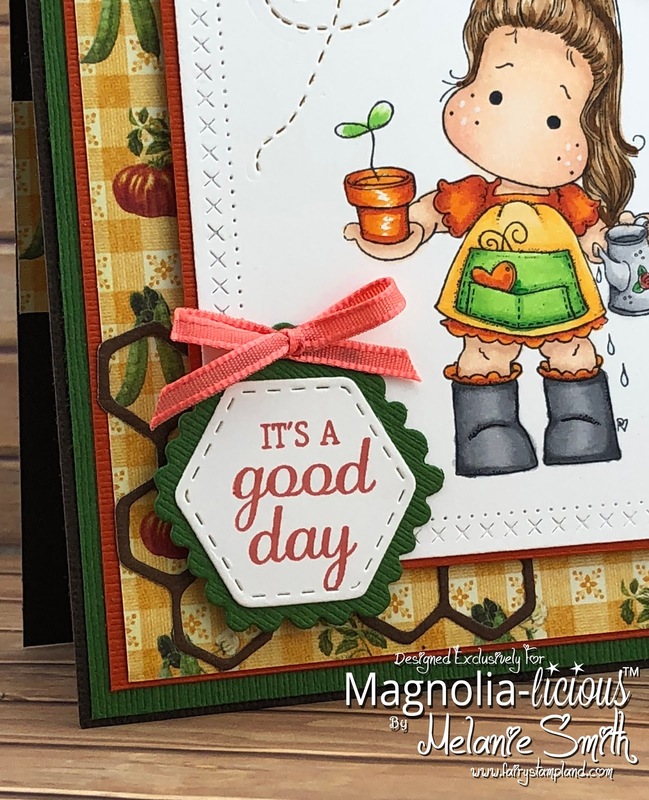 I had a lot of fun adding the different dies to the card rather than loading it up with embellishments to the cards. I have used the Sakura Flowers and Umbrella Dies along with the beautiful Vintage Box Lacing Die. I think this Lacing die is my new all time favorite DooHickey Die. It is so delicate and beautiful. I would love to hear what you think of my new projects. Message me or leave a comment below. Looking forward to getting to know you better. DT Melanie here with you today to share a fun inlaid card using our NEW Sunburst Rectangle Die Set. This was so much fun to create. Here is how I did it! Step 2: Add double sided foam tape to the entire back of the light blue card stock. I did this for two reasons... 1.) I wanted the small pieces to attach without using glue. and 2.) I wanted to add a little extra thickness to the card since it was going to be quite flat. Step 3. Start with the red card stock and simply die cut it using the same star burst die and take the largest "circles" and lay them into the holes of the die and simply press to adhere them. Do this with each color of paper, completing one color at a time before die cutting the next one. Step 4: When cutting each starburst you will accumulate the circles from the center of the die. Glue these all together and glue to center of the card. This will give a little more stability when gluing the sentiment pieces onto the card. Step 5: Using the Scalloped Rectangle Die Set, cut the tag die from both purple and white card stocks. Step 6: Stamp your sentiment using Hybrid Ink in Dark Washed Jeans. I have used a sentiment from the "Wishing You" sentiment stamp set. Step 7: Glue sentiment over the center opening. Step 8: Die cut the small hearts from a red card stock and adhere. For my first card today I have made a fancy fold card. If you are a La-La Land Craft Club subscriber you will automatically receive this as your FREE tutorial. That is a perk for being a member...you will receive tutorials from each of the Club DT members. Here is a second look that shows you a better view of the fancy folds. I have colored three of the stamps from this months stamp sets. Of course "Happy Camper Marci" is the main character but I added the moose and bear from the Happy Trails stamp set along with the "Don't Feed The Bears" sentiment for some extra fun. The camper die was cut twice to give the doors and windows a contrasting color. Make sure to watch my YouTube video to see how special this camper die actually is. For my second card I started with the red and white gingham paper and used it to inspire my coloring. 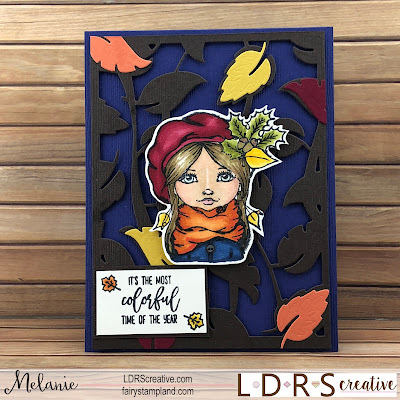 Each time I create a card using La-La Land Crafts products I think that most recent card is by far my favorite. This is one of those moments. I feel like I grow as an artist with each and every project and I thank La-La Land Crafts for supporting my creativity. Here is a second look focusing on the layers of my card. 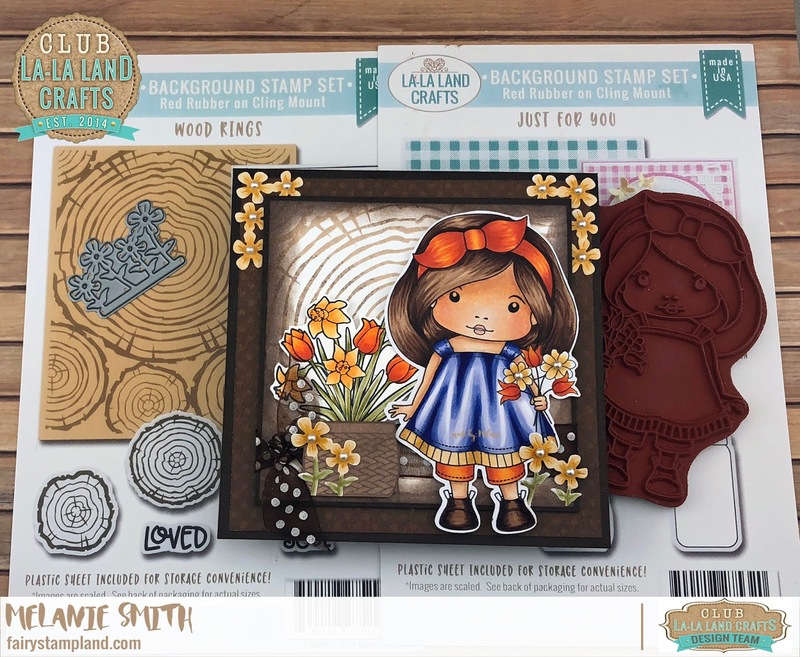 I added the La-La Land Nested Frames in both the small and large to add depth and to really show off "Happy Camper Marci". The Nested dies are available in our online store. click below to check out all the details. One last look! Thank you for stopping by today. I hope I have encouraged you to pull out those craft supplies and take some crafty time for yourself. If I have inspired you today please click "follow" or add your email along the side bar to receive my posts directly. Magnolia-Licious Monthly Challenge ~ Doohickey Kit #10 ~ Still AVAILABLE!!!!! 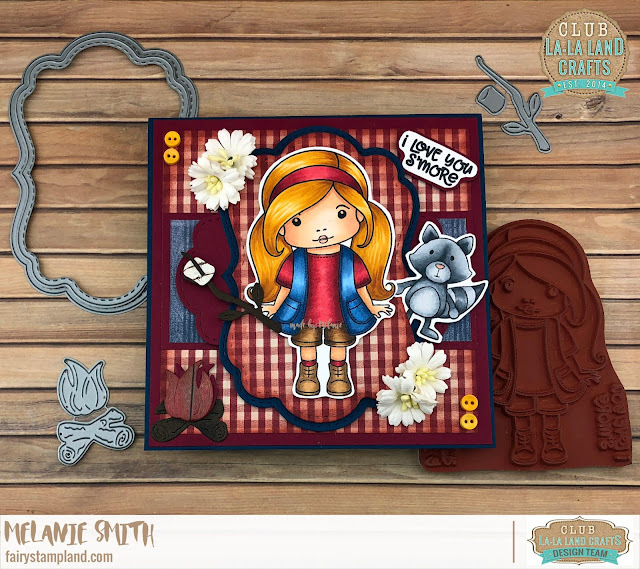 Magnolia-Licious has just posted their August 2018 Monthly Challenge. 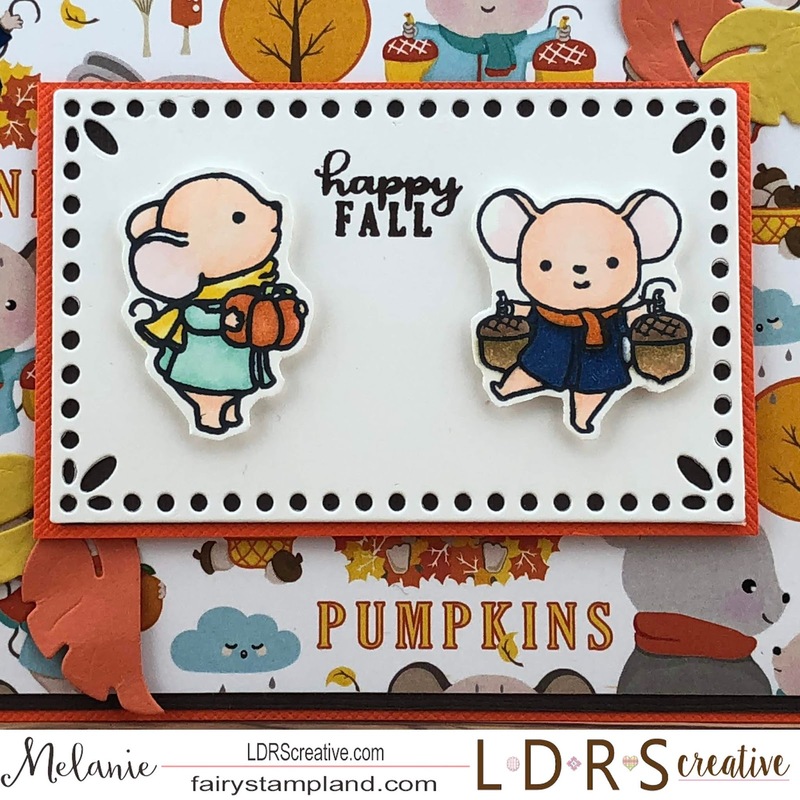 Our challenge is "Anything Goes with an optional Fall theme" and I have a really fun project to share. I was away at a 4 day crop when I shopped for these papers. I walked around the store with the "Tilda With Plant" Stamp looking for something gardening related. Then I spotted this Graphic 45 paper with the yellow Gingham design along with the vegetables. Oh My Goodness it was PERFECT! 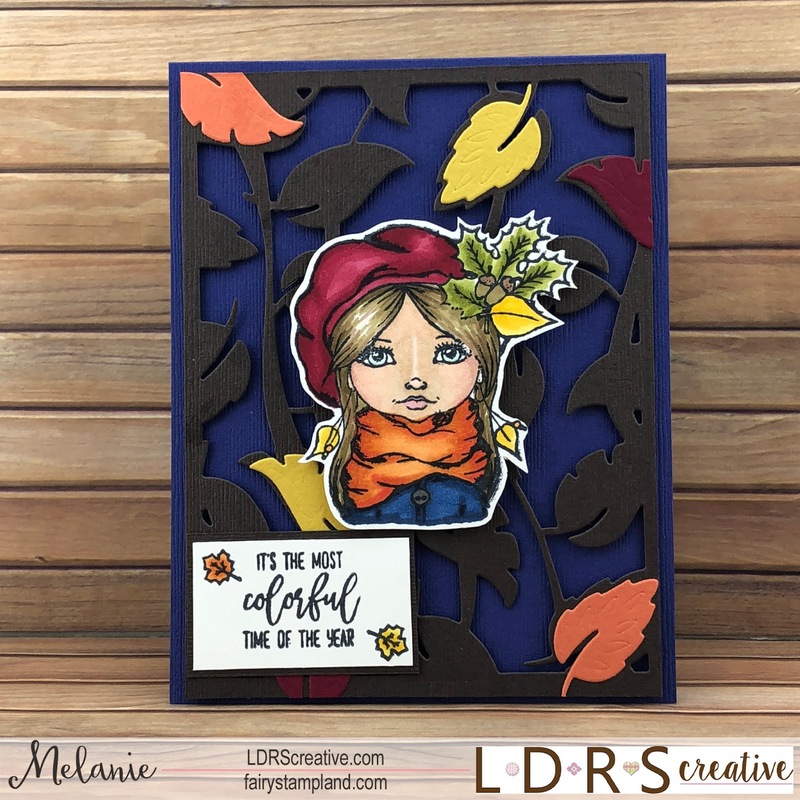 The colors were perfect for the FALL theme this month as well. I colored Tilda to match the paper, which is how I like to create. When I was coloring her I had a friend ask about that. She seemed surprised that I choose my paper first so I thought I would mention it to all of you. To me this allows for me to coordinate the coloring for a more seamless design. To frame Tilda I did use one of Magnolia-Licious Rox Dies. This set is the nesting squares and have a really pretty cross stitch pattern around the edges. Isn't it really nice? Very affordable too, ONLY $12.00! See all the available Rox Dies HERE in the store. All of the other dies I have used are all from the Doohickey Kit #10 which is available in the store (In limited quantities) The Bumble Bee was cut from white card stock and then colored with Copics. The wings were cut from vellum and then Wink of Stella was added for a little shimmer. The bumble Bee trails were also from the kit. It just pierces the paper...So cute! 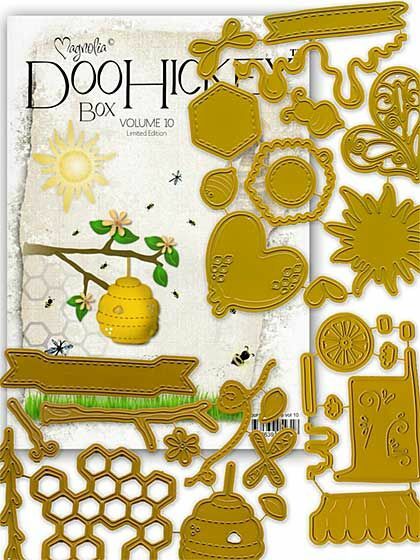 These dies used here in the bottom left hand corner are also ALL from the Doohickey kit #10. The hive die in the background, the stitched hexagon, and the coordinating scalloped hexagon tag die. Make sure to check this kit out in the store. 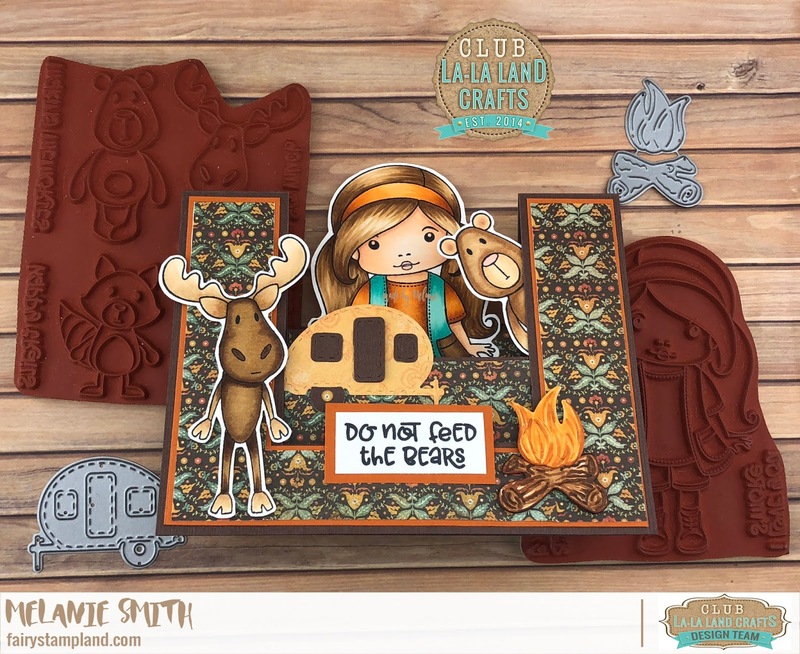 Today I have my second monthly post for the July La-La Land Crafts Club kit. 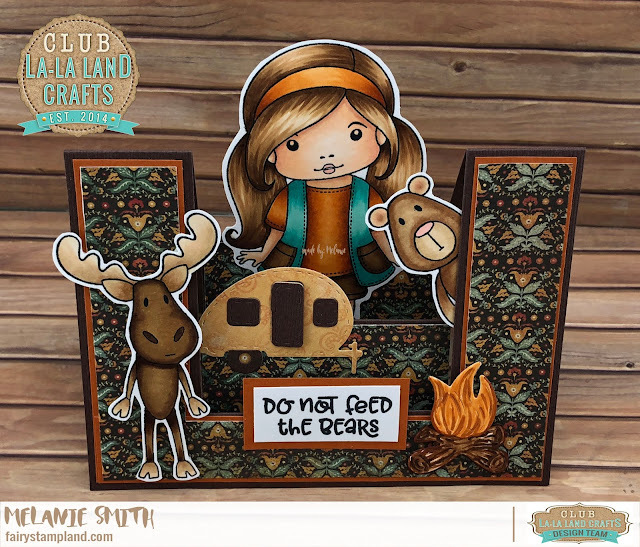 I have had so much fun with July's kit. I especially enjoyed coloring their clothing. There is still time to subscribe starting with August's Club Kit. Simply Click HERE! Have a question or curious about this club? All the details & perks are listed at the end of this blog post. 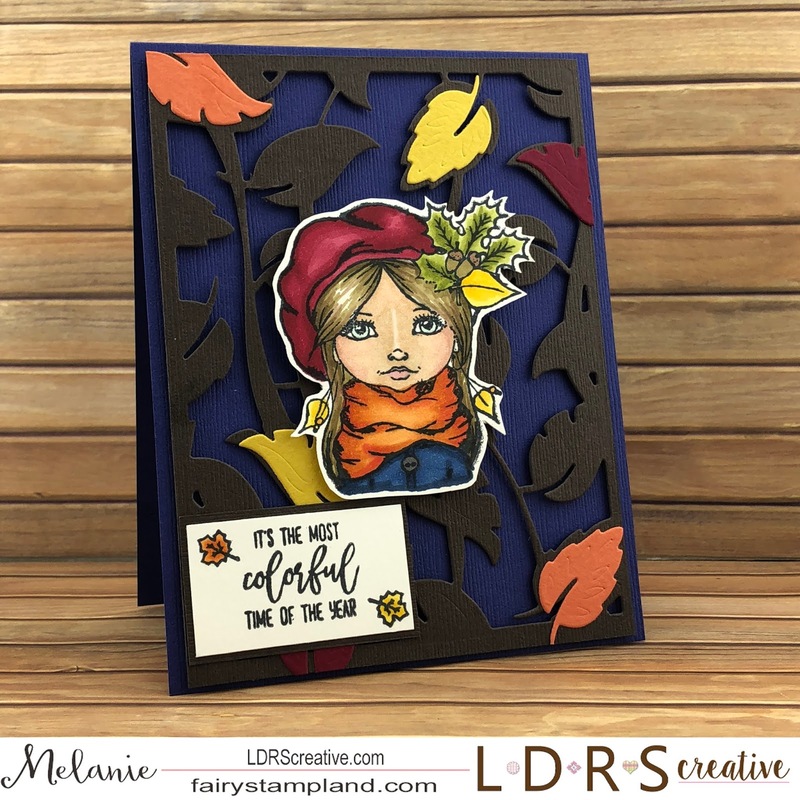 For my first card today I am using the Garden Fairies. 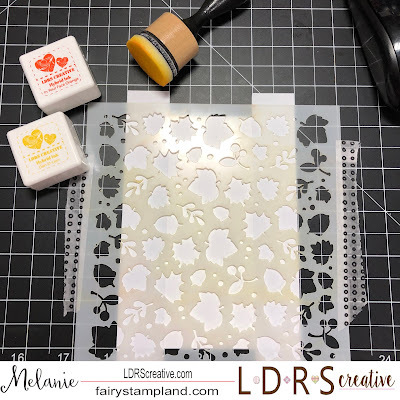 For the background I wanted a sky so I got creative and using the "Nested Frames Large die" as a stencil I created the cloud background using daubers to dye ink with. I cut out the flowers and watering can dies with white Copic paper and hand colored them. 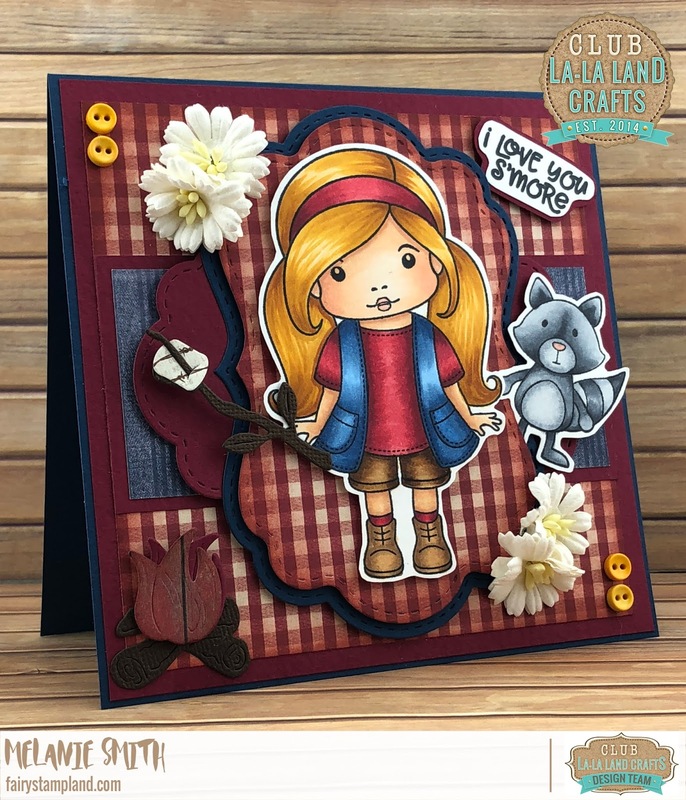 I just love the detail of La-La Land Crafts dies. They are a joy to work with. My second card today is my favorite. 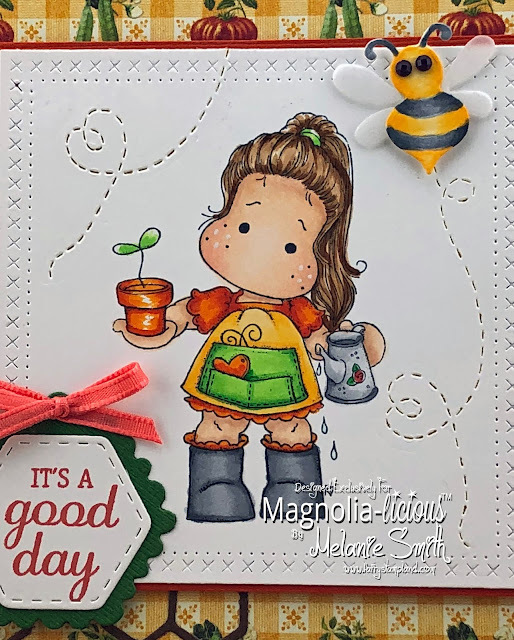 This card features Garden Marci, she has a beautiful dress and I colored her dress using Copic markers and the zig zag folds technique. In the background you will spot the "Wood Rings Background Stamp Set inked up with multiple brown dye inks and I sponged the edges to give a halo look to the background. 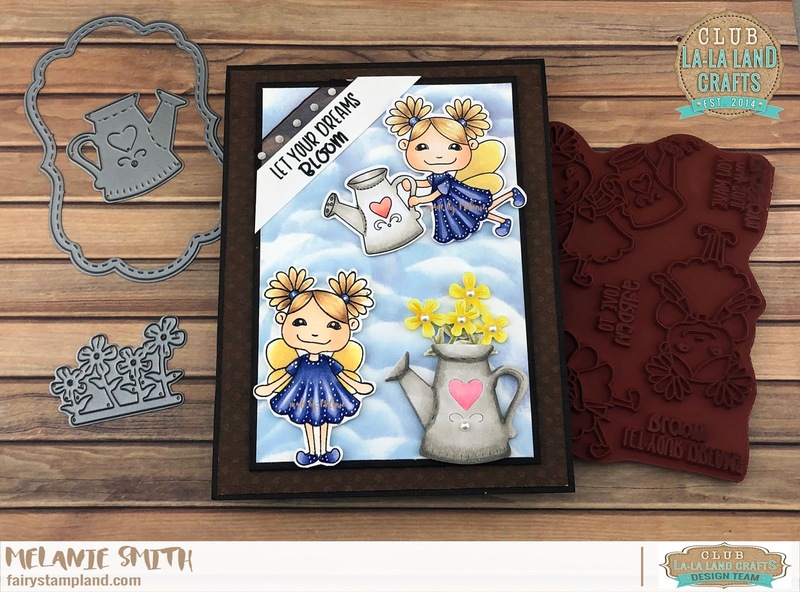 The extra flowers and the flower pot came from the "Just For You Background Stamp Set". Doesn't it go perfectly with Marci and her flowers she is holding??? They also coordinate well with the flower die from July's Club Kit. 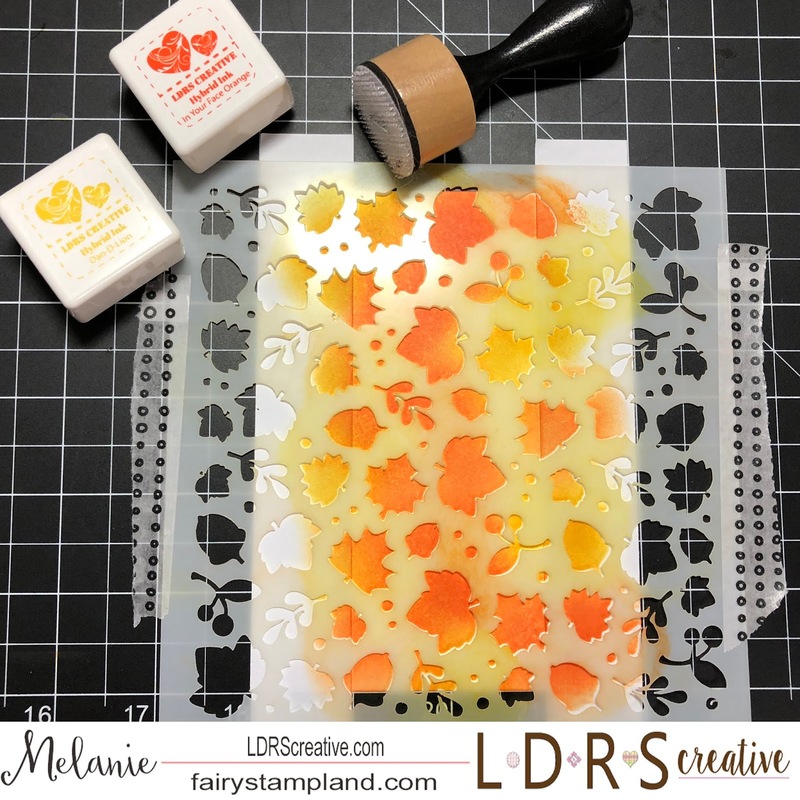 Notice how I cut apart the flower die to create corners for the top of my card. These dies are so versatile. Don't forget to also check out all of the NEW Background Stamp Sets. I love that they have additional stamps to coordinate with the large background stamp. If you are not already a CLUB member and wish to join simply CLICK HERE. The last day to order July's kit was July 17th but one of the many perks of being a member is being able to order previous kits, while supplies last. 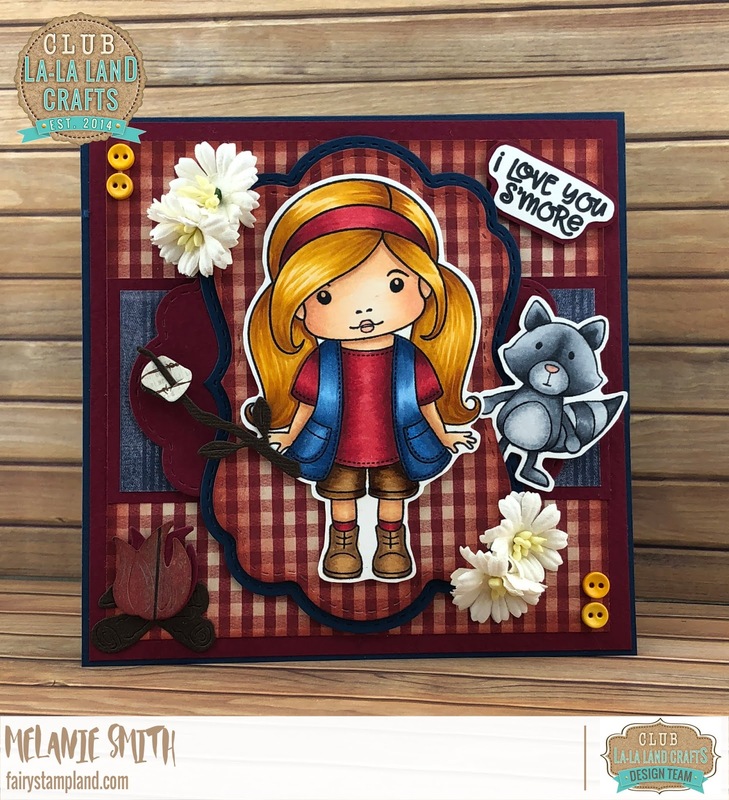 LDRS Creative Lemonade ~ I Could Just Squeeze You! Welcome back! 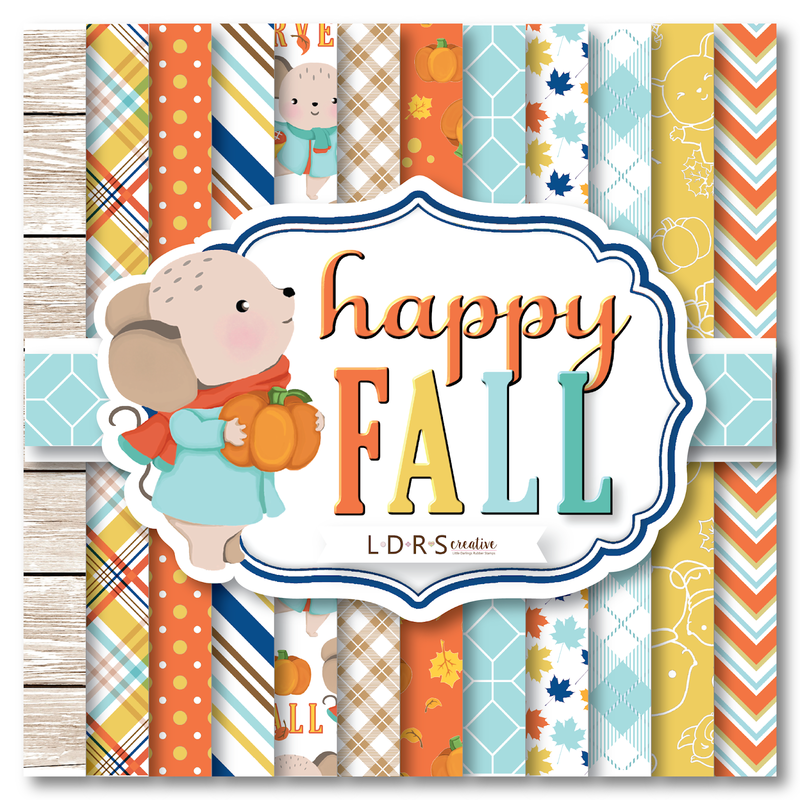 I am here with you today to share a really bright and cheerful card. 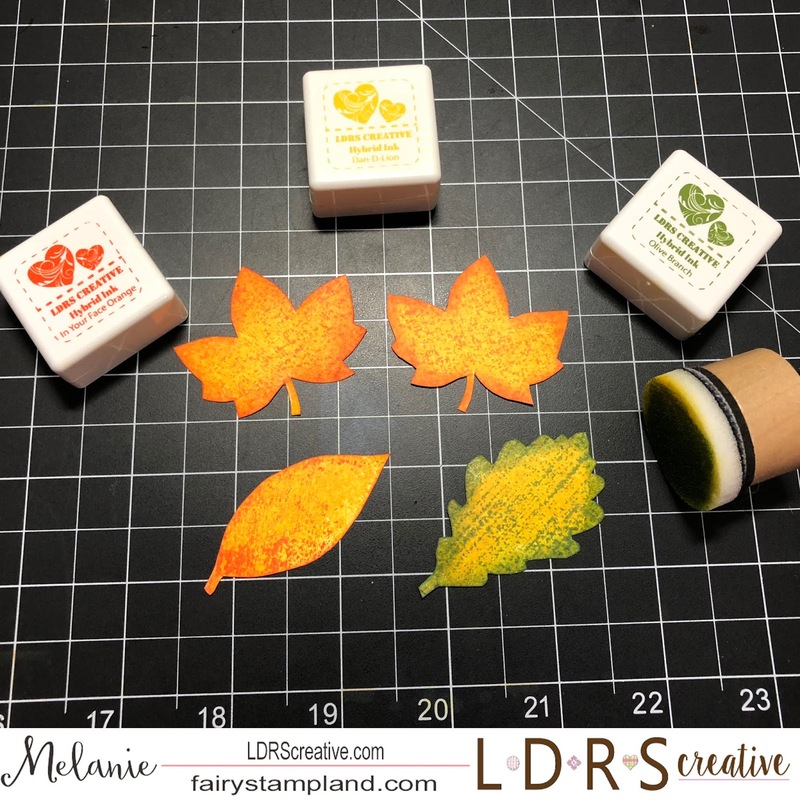 This adorable stamp set is simply called "Lemonade" and is a fun little 4x4 stamp set. 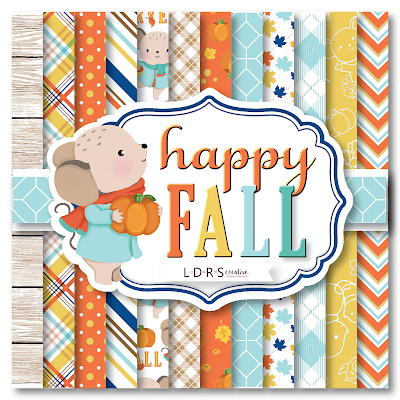 I have used a bunch of NEW dies from the LDRS Creative Online Store. As you can see from this close up photo, I have gotten a lot of dimension by adding lots of foam tape under some of the dies. 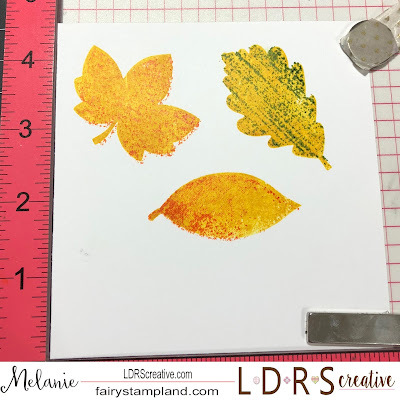 The background was also stamped with the lemon stamp from the Lemonade stamp set. It almost gives it a designer paper look.